Magellan GPS comes complete with antenna however I never hooked it up as it looks a bit old. It was disconnected when I bought the boat. 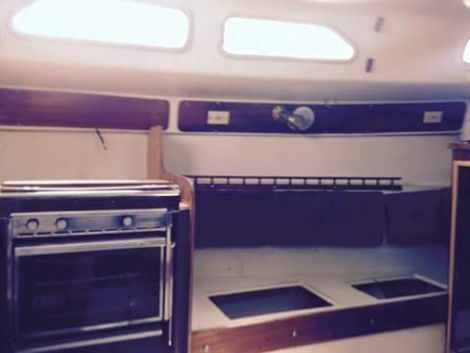 I am selling my boat due to some life changes (a land loving girlfriend). The boat is currently at Xynides Boatyard on the hard as I was going to paint the bottom and hull and fix a few things inside. However, I have found that I am now moving on land so I need to sell the boat. The boat sails great! I recently moved her from Camachee Cove to this Boatyard. The boat handles phenomenally well! She loves to run in the wind. 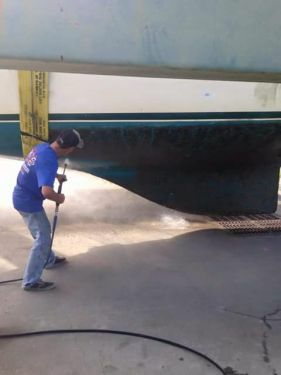 This is a must see boat as she has some cosmetic things that some TLC will take care of that I was going to fix while she was on the hard but now my heart is going in another direction. 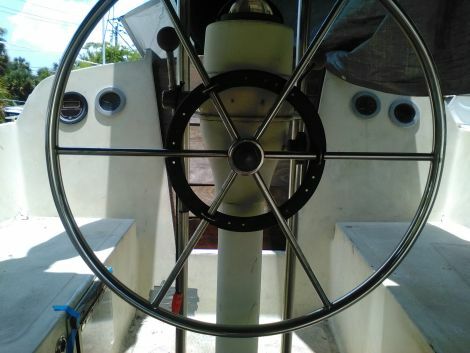 The boat is powered by a Beta 14 inboard engine that currently needs a little help. My first thought was the transmission so that is brand new. The engine has no problems pushing this boat. The head onboard has a waste tank and is not a porta-potty. 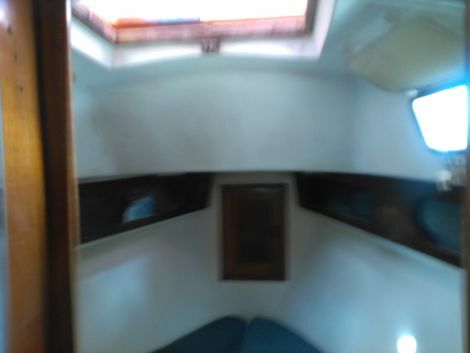 This boat sleeps 5 and is a live aboard. As a chef I just installed a new stove and oven. SERIOUS BUYERS ONLY!!! First person with cash in hand takes it.